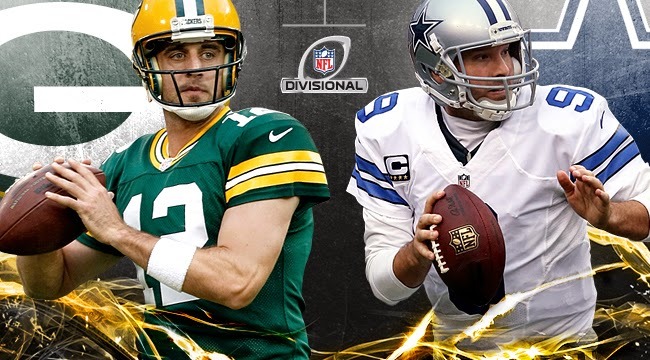 The Dallas Cowboys are coming to Lambeau with a NFC Championship birth on the line. What worries you the most about this matchup if you're the Green Bay Packers? Adam: The health of Aaron Rodgers. I think he proved against the Lions that even without his normal escapability he is still capable of carving up any defense. My biggest concern is just how the hamstring will hold up in the weather conditions and once he starts pushing it. Shane: Middle of the field on defense. Jason Witten, Dez Bryant and even Cole Beasley are all tough matchups inside for Green Bay and I expect Dallas to attack that. Witten especially concerns me and the Packers better have a plan to lock him up in the middle, otherwise I could see him catch 6-8 balls and a few TDs. Mitch: Demarco Murray. I think the game will hinge on our ability to contain him. 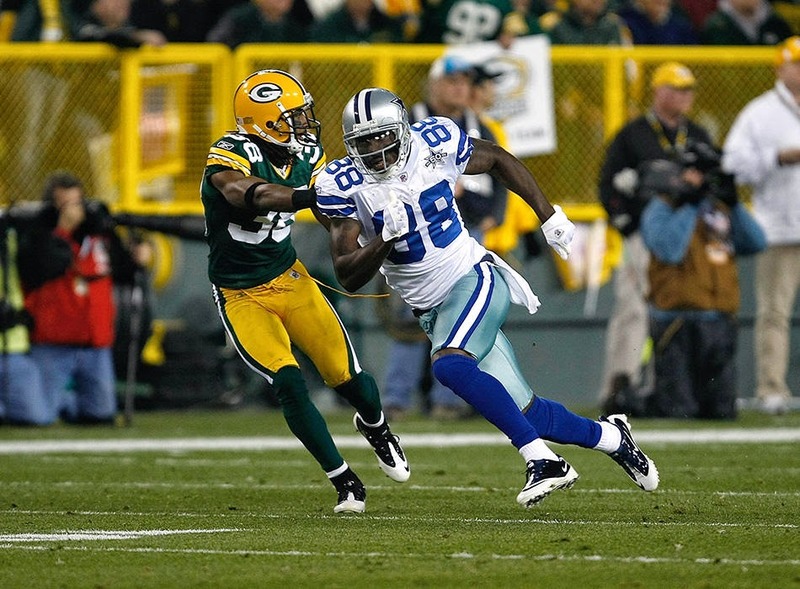 If Murray runs wild, a whole lot opens up for Dallas' passing game. Detroit held Murray to just 73 yards and if the Packers can do the same, the Cowboys are going to have a hard time. Disrupting the Cowboys offense starts with getting to Tony Romo. Do the Packers have enough to create consistent pressure and who specifically do you see making a difference (if anyone) in that department? Adam: I would argue that stopping the Cowboys offense starts with slowing down Demarco Murray and the Cowboys rushing attack on 1st and 2nd down. Romo's career best season can be attributed to having one of the best offensive lines in football and being in favorable down and distance situations because of the success of the running game. Dallas has remained committed to their run game even when trailing, which has been instrumental in their success this season. Since moving to inside linebacker Clay Matthews has started to look like the playmaker he was during the Packers last Super Bowl run. Capers has cleverly used him both inside and out to keep opponents guessing. I expect to see Clay continue to be moved around strategically creating opportunities for him to make a game changing play. Shane: The Packers were pretty successful last year in bringing unique pressures and forcing Tony Romo into bad throws. Supposedly, Capers has a few new wrinkles on defense for the playoffs which I think will include moving Clay Matthews everywhere and anywhere to create matchup problems. Clay has been a force the last half of the season and I'm very excited to see what he can do at full health in the playoffs. I think he's poised for a big game. Mitch: I think we absolutely do have the players to get pressure on Romo. But again, I think it all starts with stopping that running game. It's going to be an effort on all cylinders to stop the big back, from our tackles to safeties. I like Julius to have another great game, following up last week's performance. Dez Bryant, Demarco Murray, Jason Witten. It's hard to stop any of these guys, so what is Dom Capers mindset for trying to do so heading into this game? Adam: I think its business as usual for a defense that has continued to look stronger and stronger as the season has progressed. Since the bye week Dom Capers has settled into a groove with mixing up his defensive looks, winning on 1st and 2nd down and allowing his pass rushers to tee off on third and long. The unselfishness of Clay Matthews agreeing to move inside has inspired the entire defense into becoming a more complete, cohesive unit. Shane: Even though the Cowboys are one of the league's best at converting third downs, the Packers need to keep Dallas in as many long third downs as possible. That will include stopping Murray for short gains on early downs. If we can force Dallas to even remotely abandon the run early, I'm confident our defense can win more often than not against Romo. In general, the Packers should stick to their guns by trusting the CBs to man up with little help and trust that the DL and LBs can create havoc in the Dallas backfield. Mitch: If you're Capers you have to mix it up. I like using the NASCAR package to get pressure and give their offense different looks. They have one of the best offensive lines in the NFL, so it is going to be tough to win the battle straight up in the trenches. We have to give them a variety of looks/blitzes to try and stifle their offense. Aaron Rodgers will not be 100% healthy for the game. Will the Packers adjust their game plan accordingly and if so, how might it affect the game? 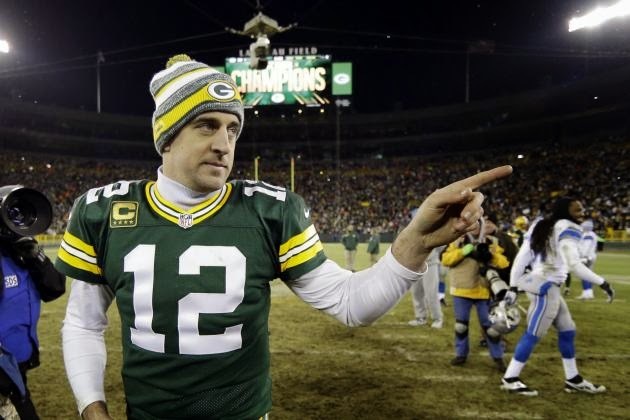 Adam: The limited mobility of Aaron Rodgers will be factored into Mike McCarthy's gameplan. I would expect their to be a handful of plays taken out of the playbook this week and against a suspect Dallas defense it could be a blessing in disguise causing the Packers to lean move heavily on Eddie Lacy and rushing attack that has strengthened late in the season. McCarthy understands the big picture and will make adjustments to take some of the load off of Rodgers' shoulders while maintaining a winning game plan that doesn't underestimate a tough Dallas opponent. Shane: Yes, McCarthy is going to keep Aaron Rodgers as stagnant in the pocket as possible by calling more quick hitters and leaning on Eddie Lacy and the running game. But McCarthy can only do so much. I worry about Rodgers being tempted to move and rush, much like he did against Detroit; at the same time I really hope he's smart about it and manages the injury the way he needs to. The biggest way it affects the game is balance - Eddie Lacy and James Starks should see increased carries and dump-offs out of the backfield. up from there. The Pack must establish some sort of run game to prevent the game from turning into one where Rodgers throws 40+ times. We need to come out of the gates just like last week, where we had 58 rush yards on our first possession. From there, whether Rodgers is 100% or not, I don't think the Cowboy's defense is good enough to stop us. Give your player of the game and score prediction. Adam: Eddie Lacy will carry the load and top 100 yards rushing, catch several passes out of the backfield and score 2 TDs. Shane: I think Clay Matthews forces a turnover, coupled with a sack and a few tackles for loss. I think we'll see a TON of #52 in the Cowboys backfield harassing Tony Romo, making it impossible for him to get into any sort of rhythm. Mitch: My player of the game is going to be Julius Peppers. I think he makes a game-changing play at some point during this contest, and moves himself one step closer to the Super Bowl. With that being said..